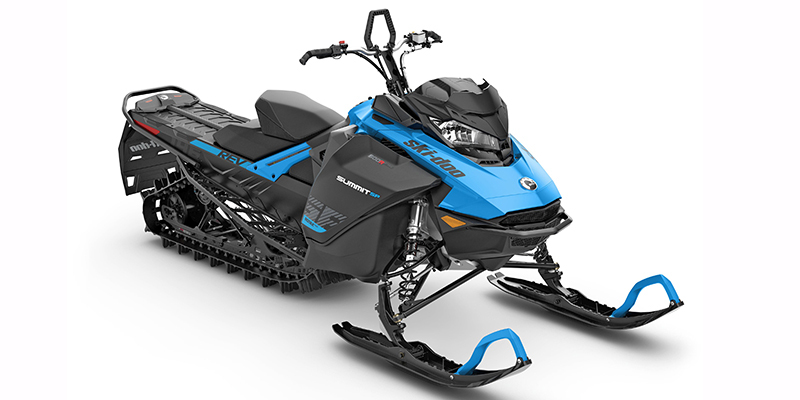 The Ski-Doo Summit SP 850 E-TEC is a mountain style snowmobile. Power is provided by a 2-Stroke, 849cc, Liquid cooled, Reed Valve, Horizontal In-line engine with Pull starter. The engine is paired with transmission and total fuel capacity is 9.5 gallons. Front brakes and rear Hydraulic Disc brakes provide stopping power. The Summit SP 850 E-TEC comes standard with an One-Piece, 1-passenger seat.